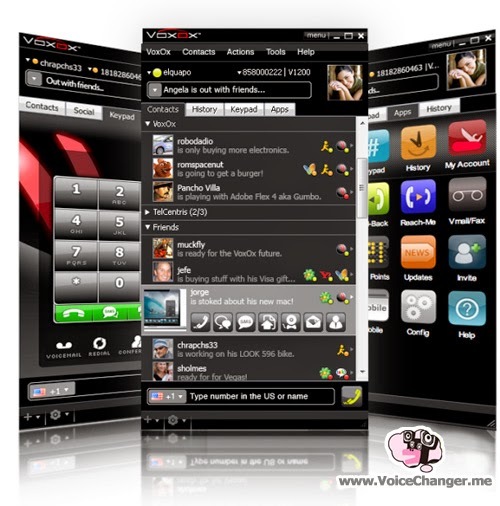 VoxOx (for Windows) is a cross-media communication software for PC users. Its service allows users to manage their communication channels including Instant Messenger (IM), text, voice, video, social media, e-mail and other forms of content sharing. 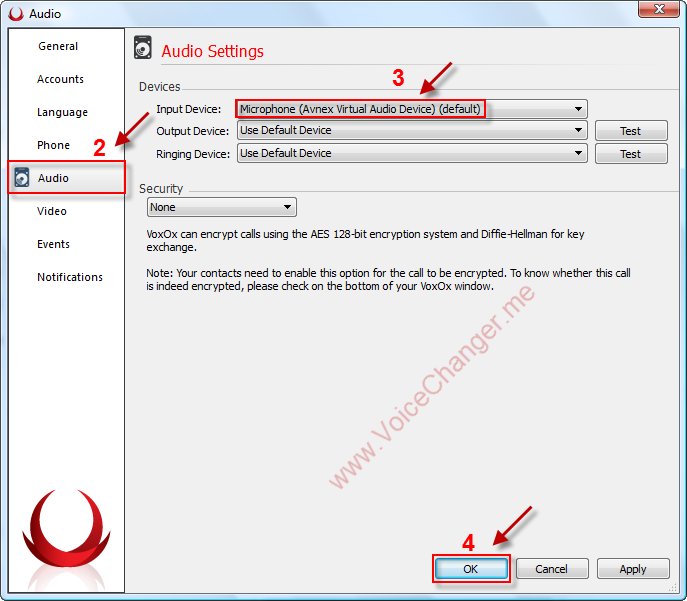 Within the next very few simple steps of this post we will show you how to configure Windows's system audio recording device to make AV Voice Changer Software work with VoxOx for making prank calls or hiding our your identity when you engage in a voice chat session. 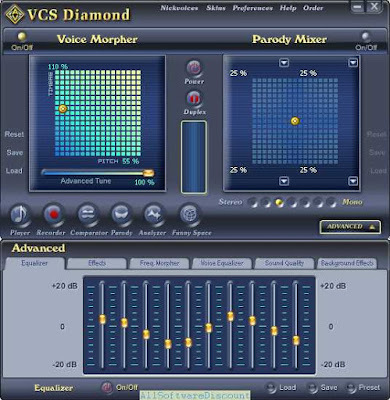 Free download trial version of Voice Changer 8.0 Diamond from here. Latest Windows version of VoxOx downloaded & installed. Run VoxOx program and log in with your VoxOx account. Within the next Preferences... window, select Audio tab. On Audio tab settings » Device » Input Device » select Microphone (Avnex Virtual Audio Device) (2) as default device (for VoxOx's microphone input). 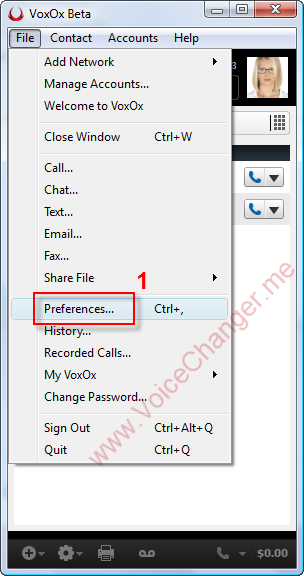 From now on, if you want to have your voice changed during VoxOx voice chat sessions in real-time, you just need to run the AV Voice Changer Software program before joining into the chat room. Buy Full version of the VoxOx real-time voice changing program (AV Voice Changer Software 8.0 Diamond) now!